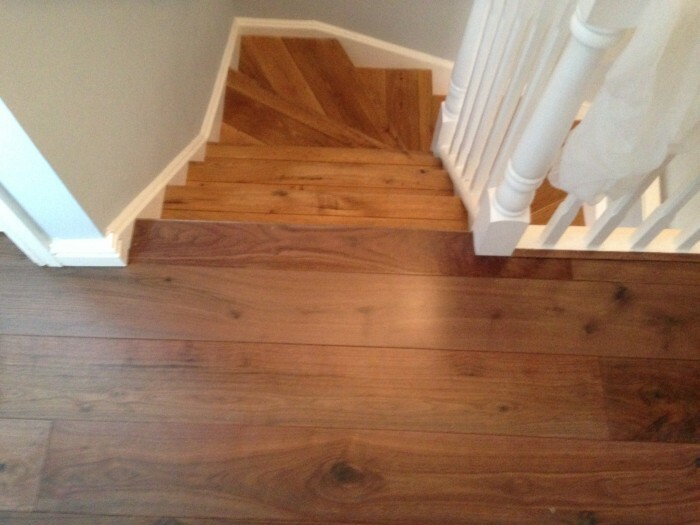 Solid wood flooring has been successfully used for centuries, and are just as popular, if not more so than ever. 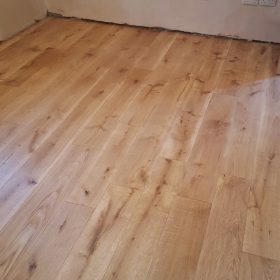 Usually using a slightly narrower plank than engineered wood, at around 140mm wide (as opposed to 190mm wide for the engineered wood). 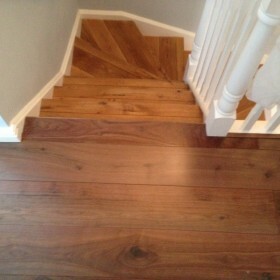 This is to minimise cupping of the wood. 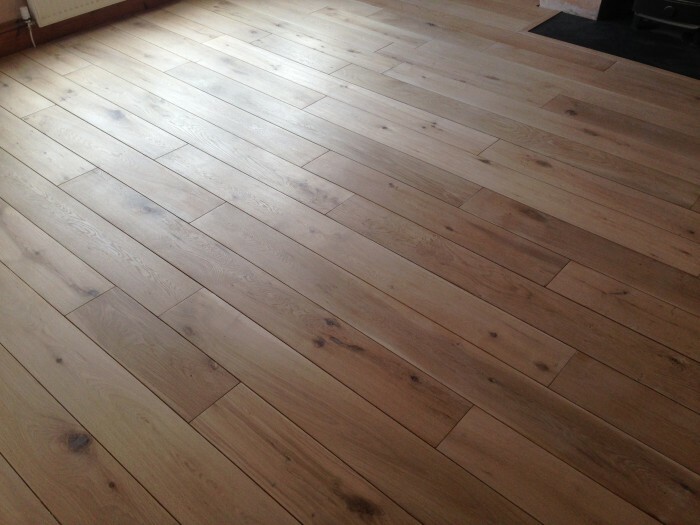 Solid wood is absolutely fine to use in most situations, such as living room, dining rooms and bedrooms. 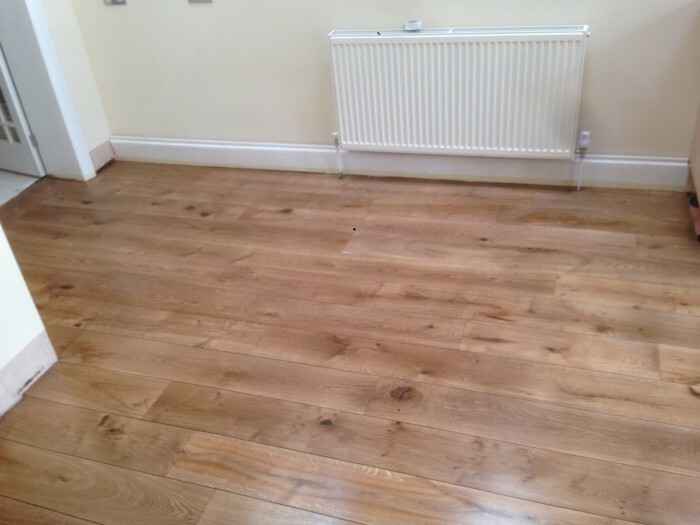 It is only high heat and moisture areas, such as kitchens, bathrooms and conservatories/sun rooms etc. 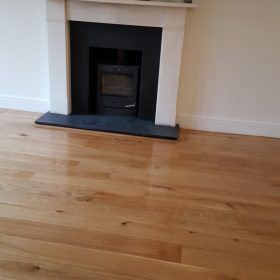 where it would not be recommended. 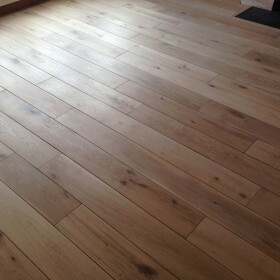 It is also not suitable for use with underfloor heating. 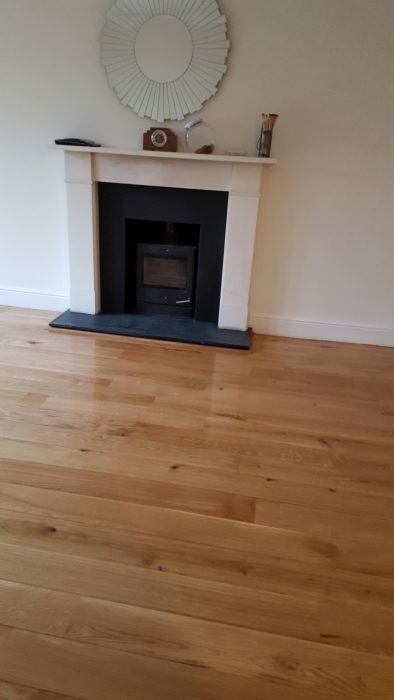 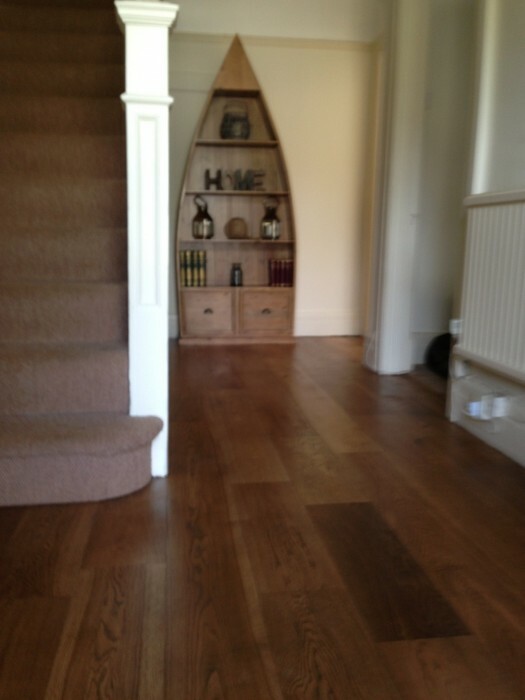 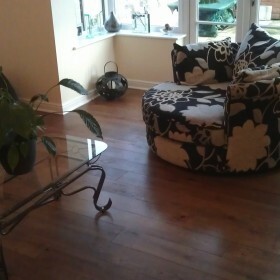 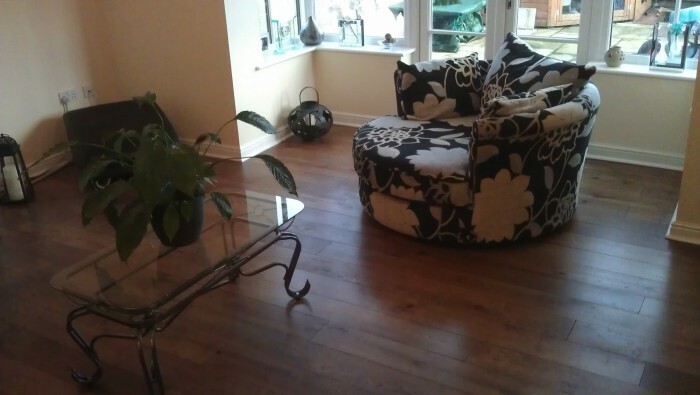 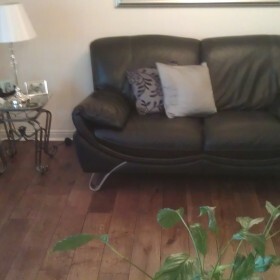 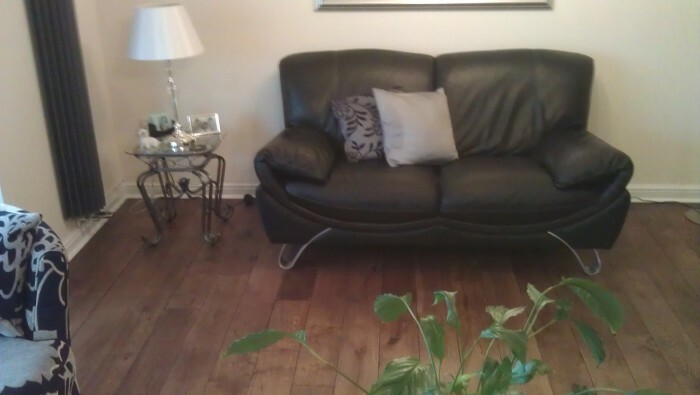 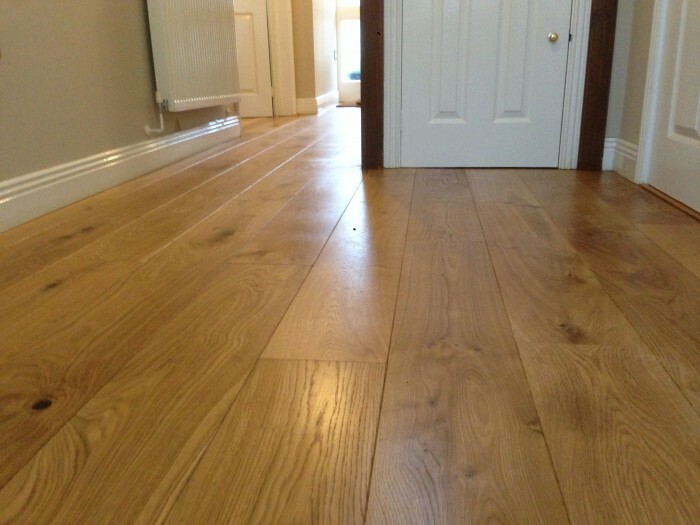 We use extremely high quality, 20mm thick, French or European solid oak flooring. 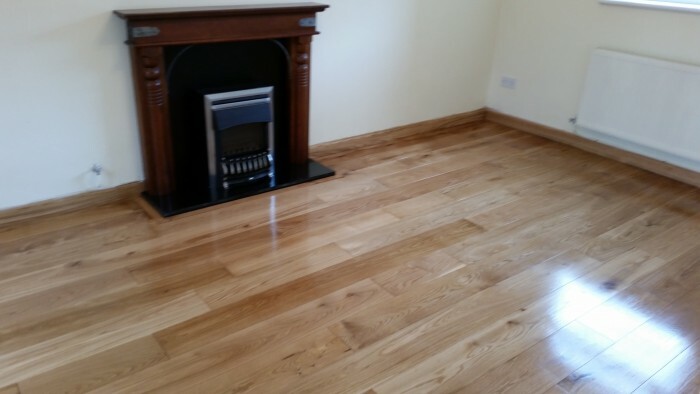 We purchase the wood unfinished and sand and oil the wood ourselves using Osmo oils. 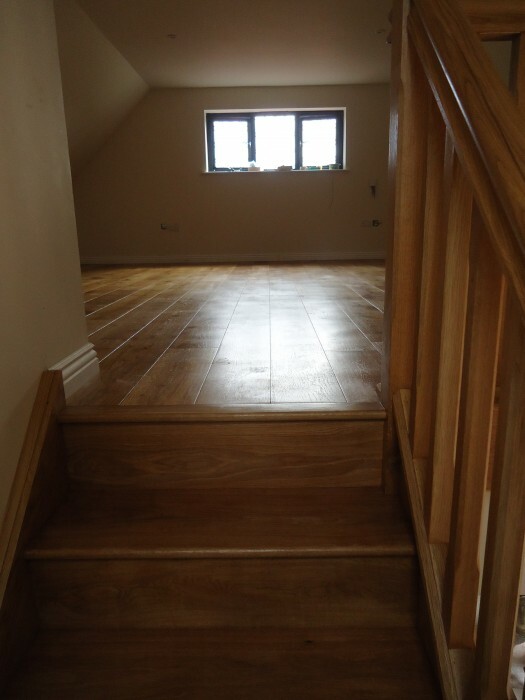 The wood is character grade so has a certain amount of knots and imperfections and grain variation (pattern and colour) which give a beautiful end result. 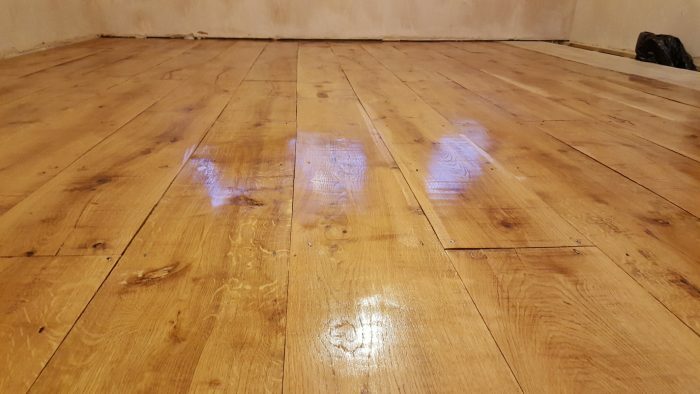 Prime grade wood is available if you wanted a cleaner look. 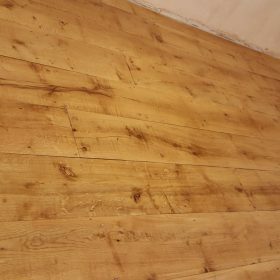 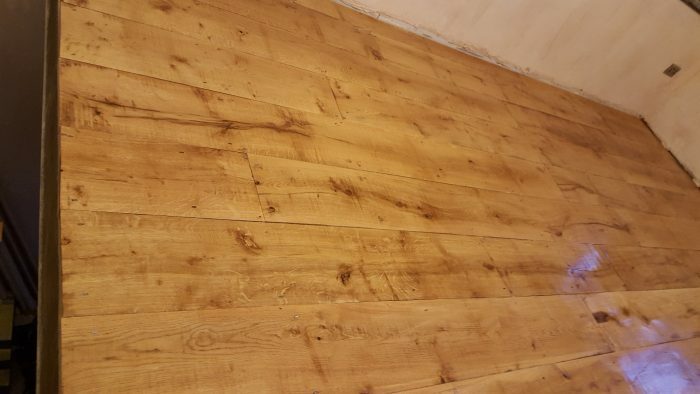 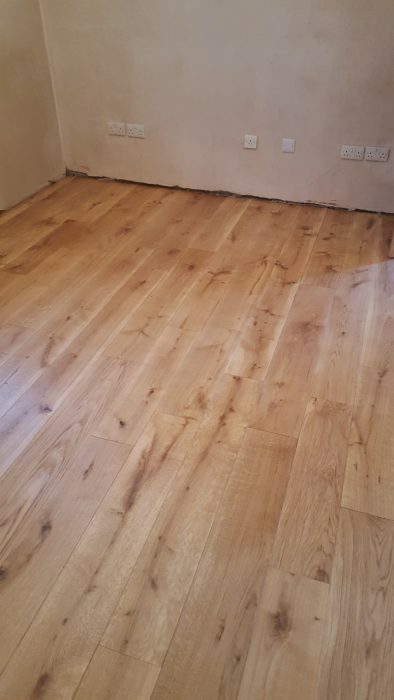 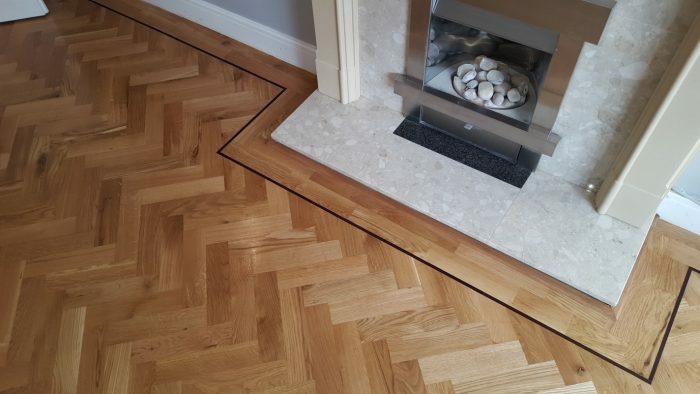 Solid wood flooring, as with engineered, can be secret nailed (wood or chipboard) or glued using a flexible adhesive (concrete) depending on the sub-floor (solid wood cannot be fixed directly to joists, so a chip board or ply sub-floor will need to be fitted). 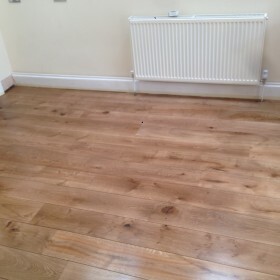 Osmo also supply a range of cleaning products for easy maintenance. 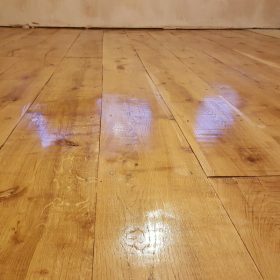 Including Osmo wash and care which can be mixed with water for mopping, as well as Osmo liquid wax cleaner which can be used to buff the floor, using a micro-fibre mop every six months or so.